We often hear that a balanced diet can promote heart health and reduce the risk of cardiovascular diseases. With World Heart Day approaching on September 29th, according to Dr Todd Anderson, Director of the Libin Cardiovascular Institute at the University of Calgary, "It is a good time to reflect on how important lifestyle interventions are in the prevention of atherosclerotic cardiovascular disease. Nutrition and healthy eating are the basis of all international guidelines for the control of dyslipidaemia, hypertension and diabetes." People of all ages, backgrounds and countries are impacted by the burden of non-communicable diseases. Dr Anderson explains, "A balanced diet with optimal calorie intake is our first line defence against the risk factors that have made cardiovascular disease the leading cause of death worldwide. Adoption of local nutrition guidelines can dramatically lower cardiovascular risk and help to reverse the worrisome increase in the incidence of obesity related diseases particularly diabetes." Research indicates that meals that incorporate vegetables and fruits, whole grains, legumes, and lean sources of protein are excellent options for a heart-healthy diet. In collaboration with Aga Khan Health Board USA, The Ismaili Nutrition Centre is delighted to bring you 15 heart-smart, delicious dishes - packed with nourishing ingredients. What steps will you take to protect your heart health? In the mood for some Mexican food? Enjoy a heart-healthy rendition of the classic burrito with this nourishing and irresistible Moong Burrito recipe. 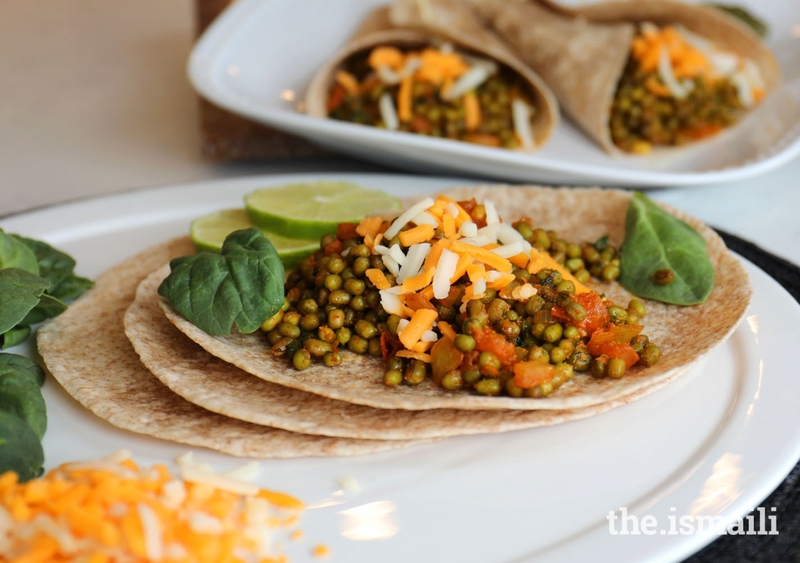 Made with tender, fibre-packed moong beans and other vegetables, this wrap takes tastiness to another level! 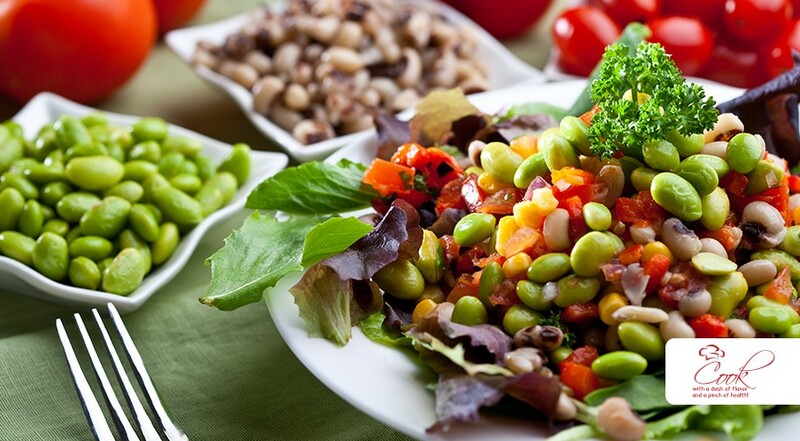 Legumes, such as beans, are an excellent low-fat source of plant-based protein and can help keep you full for longer. Add some sautéed veggies like onions, capsicum, carrots, and broccoli to load up the burrito with even more nutrients. Did you know an avocado is technically a fruit that contains heart-healthy unsaturated fats? These fats have shown to help lower undesirable LDL cholesterol levels, offering cardiovascular benefits. Not to mention, one serving of avocado (a third of a medium-sized avocado) contains under a hundred calories and 20 different nutrients! 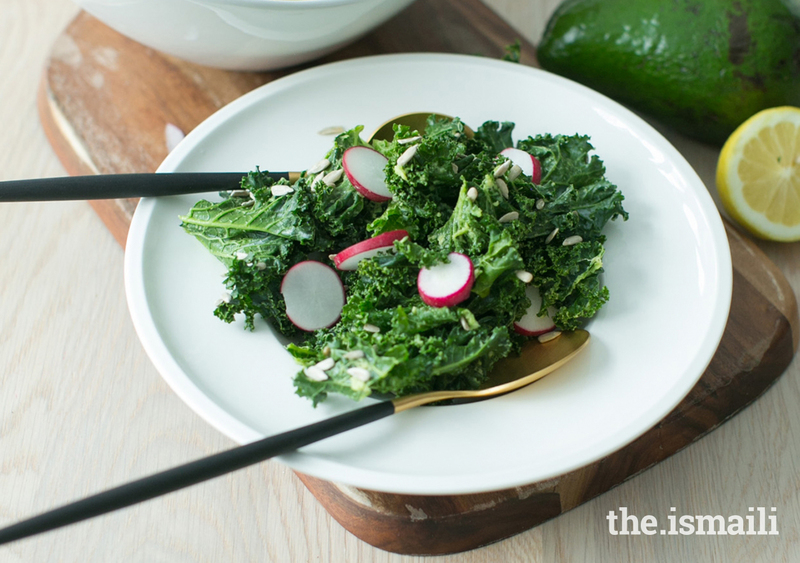 Enjoy a heart-healthy, nutrient-rich salad with this recipe for Massaged Kale and Avocado Salad. Serve it as a side, or add some lean fish to make it a filling main dish. Calling all fish lovers! 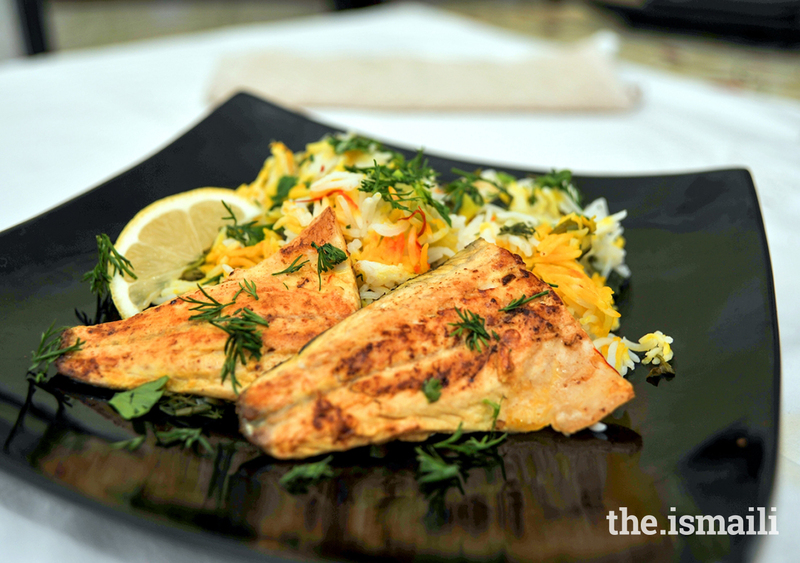 Don't miss out on a helping of Herby Rice Sabzi Polo, a Persian rice dish made with fresh sea bass coated in saffron. This recipe is a naturally lean source of protein, and an excellent source of vitamins and minerals. The fluffy rice is infused with herby flavours like coriander and dill, making it a tantalizing crowd-pleaser. Reserve this recipe for a fancy dinner party to wow your guests with a tasty, heart-healthy dish! Did you know that according to research, those who eat nuts regularly have a reduced risk of heart disease than those who rarely eat them? 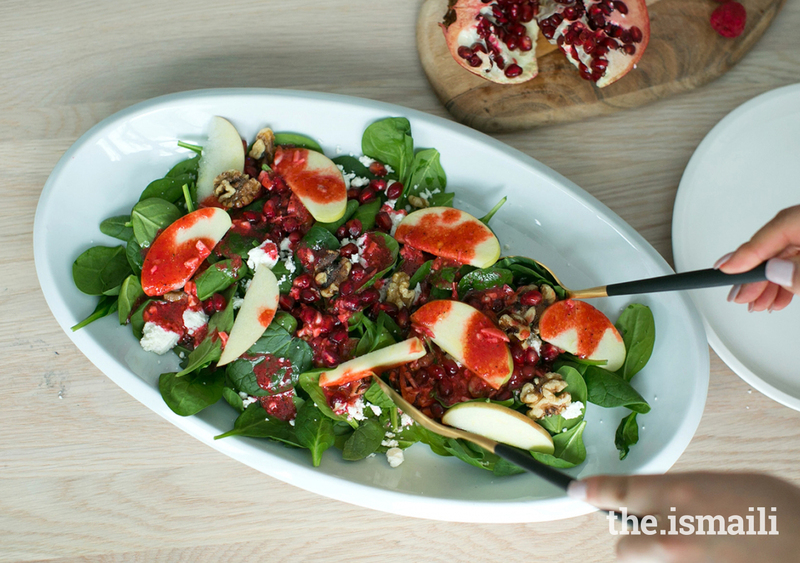 This recipe for a fresh Spinach and Pomegranate Salad with Toasted Walnuts is chock-full of vitamins, minerals, fibre and heart-healthy fats. Lightly toast the walnuts in the oven for extra flavour, and reserve some on-hand for a heart-smart snack when afternoon hunger pangs strike! 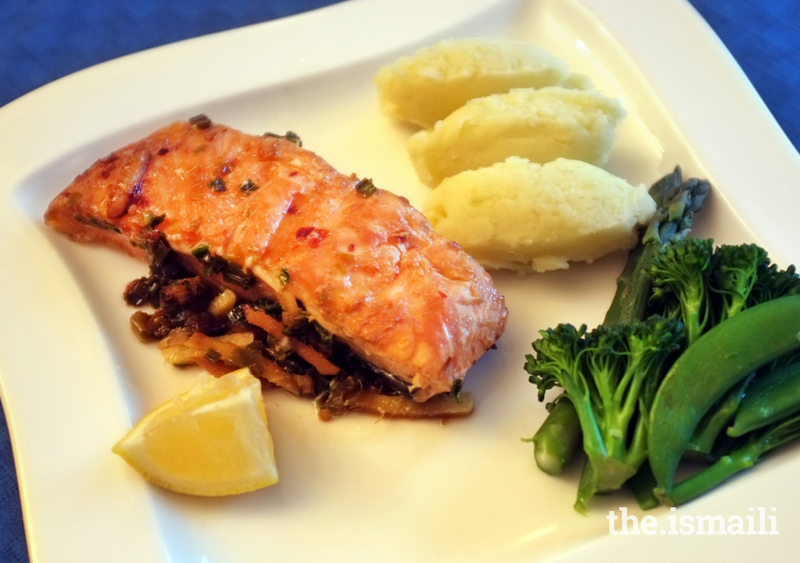 Salmon is chockfull of heart-healthy omega-3 fats, which may help to reduce the risk of heart disease. It's recommended to include omega-3 rich fish (such as salmon, mackerel, herring, sardines) two times per week. Bake this Japanese Salmon in a savoury marinade made of light soy sauce, chilli, olive oil, and a pinch of salt and serve with slightly buttered mashed potatoes for a simple but satiating dinner! Ash Reshteh is a thick, nourishing Persian noodle soup. Beans, lentils, noodles and cream fraîche make this a comforting one-pot meal, perfect for cold, winter nights. Pulses are an excellent source of plant-based protein, providing fibre, iron, and protein. Fibre plays an important role in lowering cholesterol levels. Sample a different cuisine by enjoying a hearty helping of Ash Reshteh. Can you already hear it simmering on the stovetop? Flat rice has some SERIOUS competition! 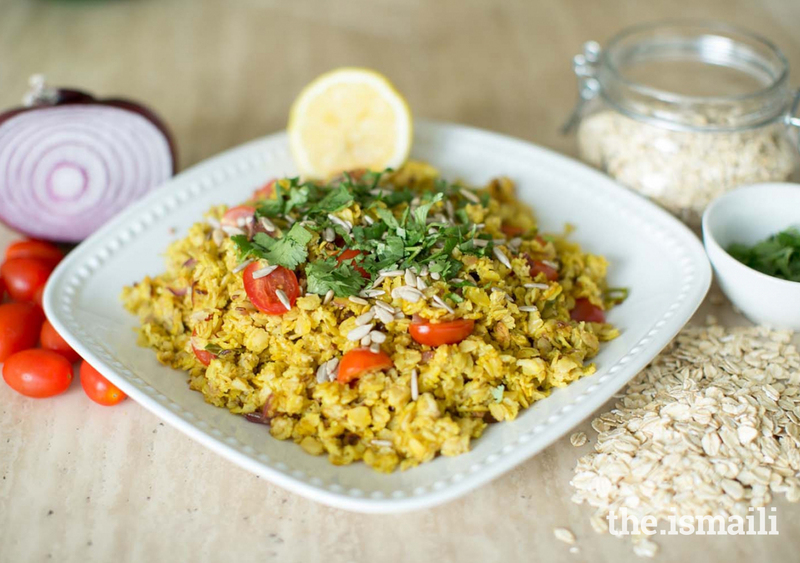 Try this delicious twist on an old favourite - Oats Poha! This is a speedy recipe that you can serve up for a savoury breakfast or make into snack-sized muffins for on-the-go treats! 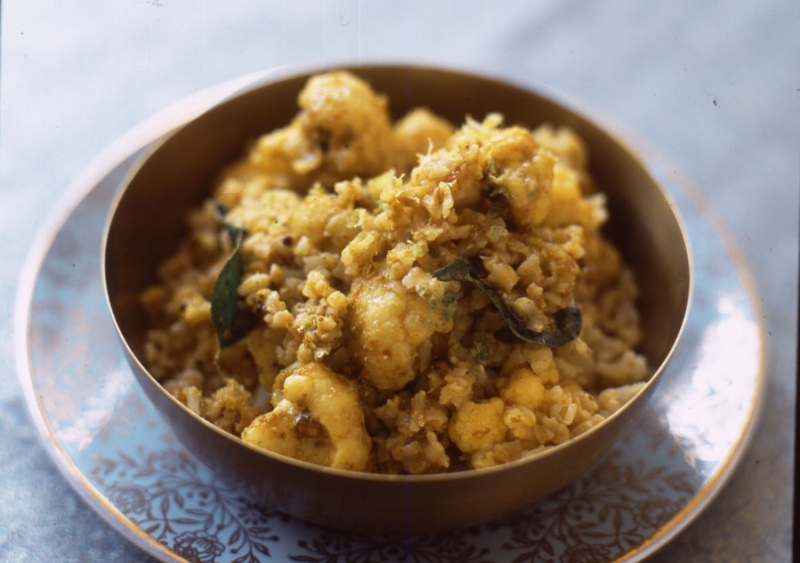 Spices like turmeric and garlic add to the anti-inflammatory perks of this dish, and deliver a tasty flair to the dish. Oats are a whole grain, packed with fibre, vitamins, minerals and healthy fats. Research indicates that those who consume whole grains regularly tend to have a reduced risk of heart disease. 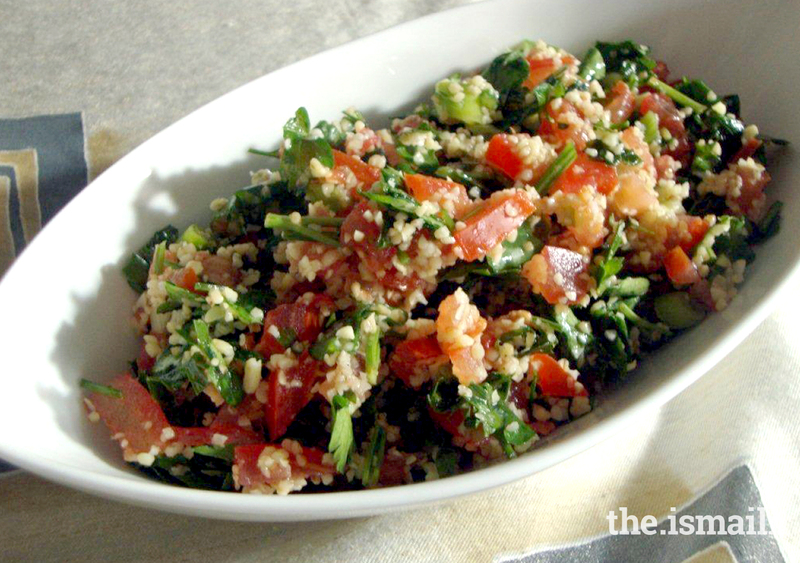 Tabbouleh, or parsley salad with cracked wheat, makes a colourful, fresh and delicious appetizer or side - perfect for meatless Monday! Not a drop of oil, yet this salad is moist and flavoursome. The varied colours of fresh herbs and tomatoes provide a range of nutrients, and the lemon juice offers an extra dose of vitamin C. Toss in some toasted chickpeas to up the protein content, and you've got a full-fledged meal! Cauliflower is really having its 15 minutes of fame these days, showing up on the menus of top restaurants across the world. And why not? It lends itself so well to any flavour that it accompanies! This Cauliflower and Lemon Rice is a tangy, fragrant take on the classic fried rice staple, giving your favourite recipe a serious run for its money AND less fat! Flaxseed is a great source of plant-based omega-3 and -6 fatty acids for those who do not eat fish, making it a perfect option to sprinkle on top of any dish! 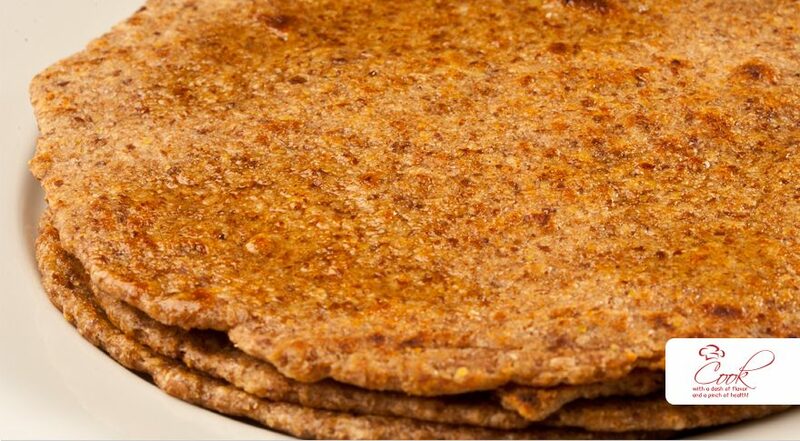 Try out our modern take on chapatti with this Oatmeal Flax Chapati recipe, made with whole-wheat flour, oats, and flaxseed. The nutty flavour from the oats and the slight crunch of the flaxseed transforms the humble chapati from a curry-vehicle to a kitchen-table superstar of its own! 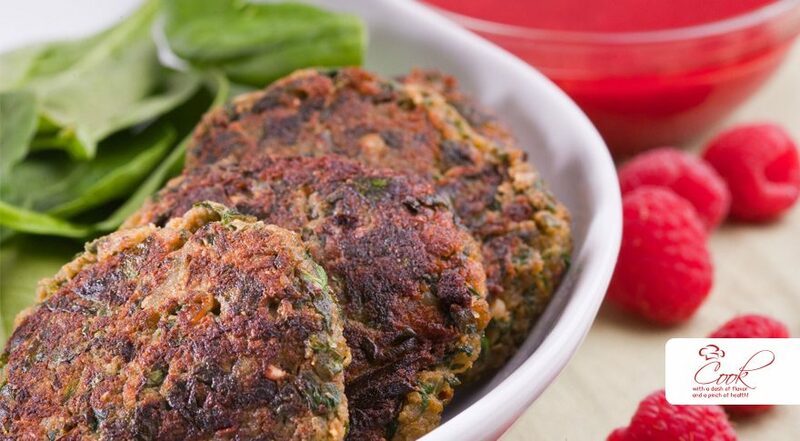 Bring the rainbow to your plate with this lean and green Spinach and Potato Kabab with Raspberry Chutney that is so succulent, you won't even think about the missing meat! Dip it in some fruity raspberry chutney, made with only one teaspoon of sugar to keep those calories in check! Pop the kabab between two slices of whole grain bread or roti, and you will have a filling and nutritious lunch to keep you powered throughout your busy day. Haleem is the epitome of a subcontinental delicacy. A rich stew of pearled barley, chicken, and spices, this dish is bursting with flavour and nutrients. 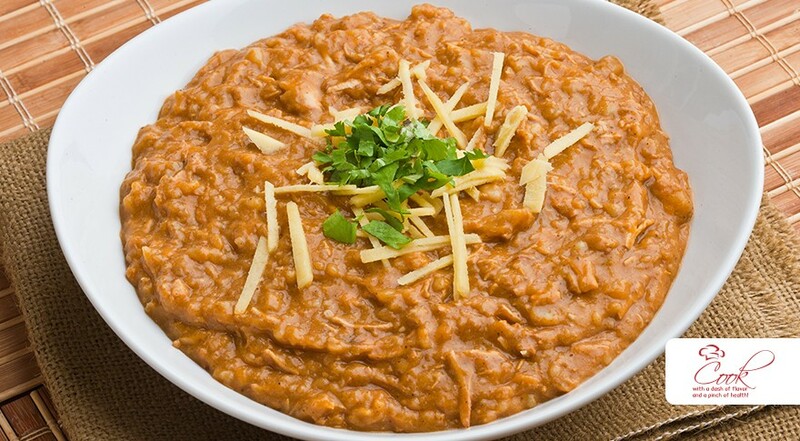 Though traditional recipes call for red meat, this heart-friendly Chicken Haleem recipe trades in the lamb or beef for lean chicken, so you can indulge in haleem more often! Beans and legumes are becoming the stars of the food pyramid these days, and we aren't complaining because these powerhouses are filled with nutrients like folate, magnesium, and zinc! Not to mention they're loaded with fibre, so rest assured that you won't be getting hungry for a few hours after your meal. This Edamame with Black Eyed Peas recipe is nourishing, fresh, and colourful - ideal for picnics, outings, and lunches! Chicken, vegetables, and brown rice. If you have these three ingredients, then you know the dish is going to be nutritionist-approved! 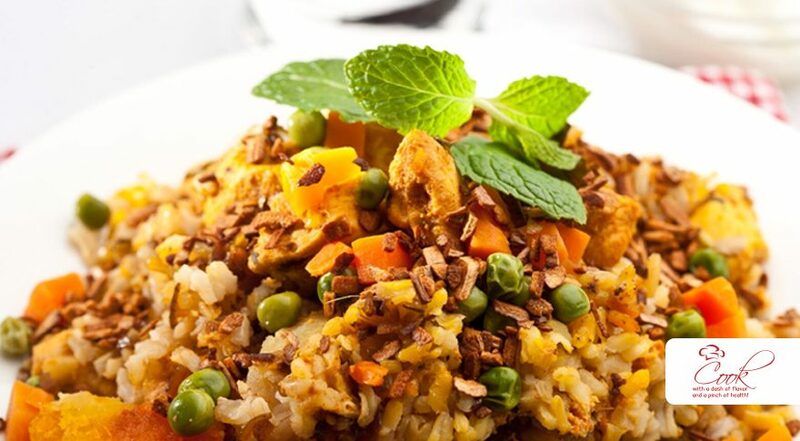 This delightful Brown Rice Pilaf with Chicken and Vegetables is layered with gorgeous spices including bay leaf, cinnamon, cloves, and peppercorn, giving it an aromatic and irresistible aroma. The elegant dish is topped with root vegetables like potatoes, carrots, and peas to get you one step closer to daily vegetable intake requirements! Brown rice is loaded with heart-healthy fibre and will also help to keep you fuller for longer. Try out this fragrant dish for a hearty Sunday night dinner, but no promises - there may a friendly fight for leftovers the day after! Looking for a starter that isn't a salad but has enough veggies to help you meet your daily dose? 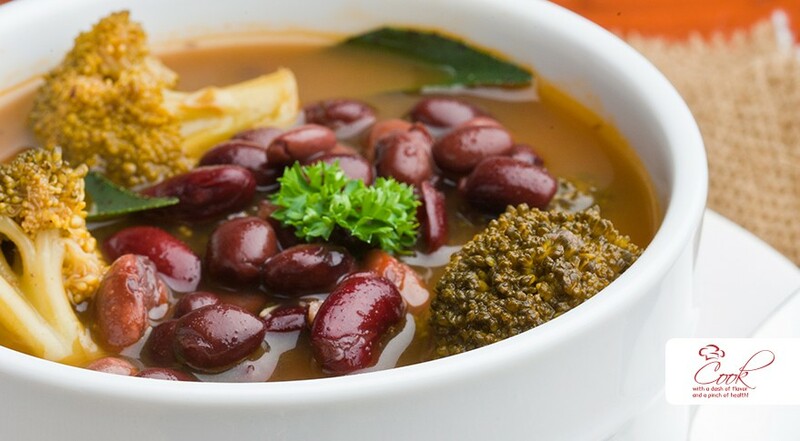 Look no further and get to cooking this flavoursome Broccoli and Bean Soup! Chicken stock helps add a savoury flavour, and spices like cumin, curry leaves, and oregano all work to make an Indo-Italian fusion that you'll keep coming back to! 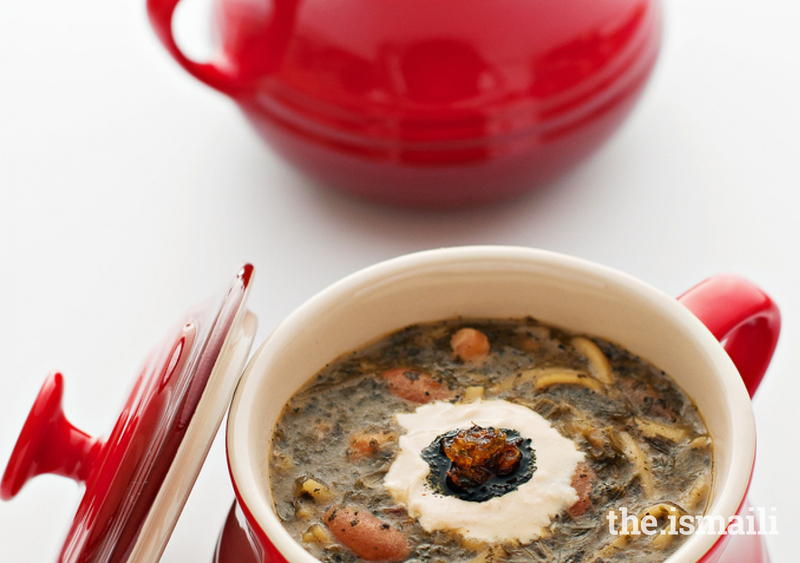 Toss in your own favourite beans and veggies to customize this soup to your liking. You can never get enough heart-healthy legumes in! Having lived in Australia, Canada, Pakistan, Thailand, and the United States, Khatidja Gilani has used her global travel experience to explore a diverse range of different cuisines and cultures around the world. The relationship between food, language, history and tradition is one that Khatidja values most deeply, and seeks to understand by immersing herself in the local culture wherever she is. Currently pursuing her Masters in Melbourne, you can find her wandering in local cafes, popular food joints, and undiscovered food havens around town in her free time.